The ALL NEW Stars at Yerkes Lunacy IV Workshop will focus on turning your students into Moon Gazers. You will learn how to engage students to explore the solar system’s basic geological processes using the Internet award-winning video game "Selene". Learn about "MoonWorld " and show students how to help scientists map the moon using the "Moon Mappers" Project. The workshop will provide an opportunity for international collaboration using the iCollaboratory’s “Moon Over Us” project. Hear about some newly developed materials associated with Gerard P. Kuiper’s Moon Hemisphere, an artifact from the 1950's that was used to map the Moon's surface. 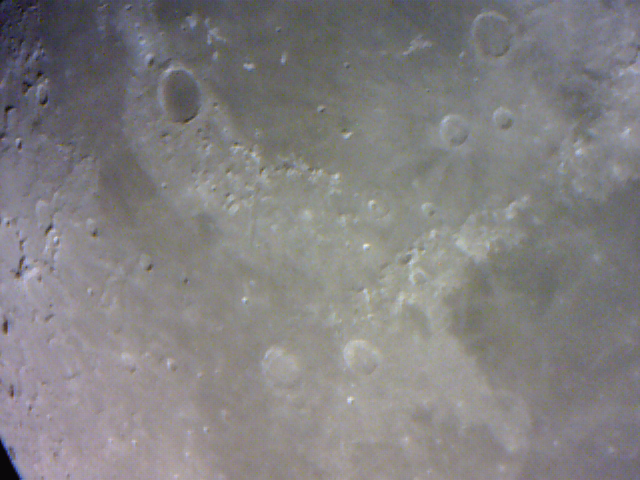 Learn about crater counting and how to take lunar images using MoonKAM. “Lunacy IV: Moon Gazers” is a special day for teacher training at Yerkes Observatory, and is part of the “International Observe the Moon Night” Project. Stay after dinner for the Public Observing Night Moon Party, as we share the skies and observe the Moon using a variety of techniques and telescopes. Don't miss this day to better learn more about our neighbor the Moon! The image below will be used during the workshop and can also be downloaded via the link at the bottom of this page. Please DOWNLOAD the following before the workshop and be sure to have Excel on your computer.